We all know that weddings can be expensive, the mere mention of the word ‘wedding’ and it seams the price goes through the roof! Well, we have come up with a cost effective way of keeping your wedding stationery realistically affordable. 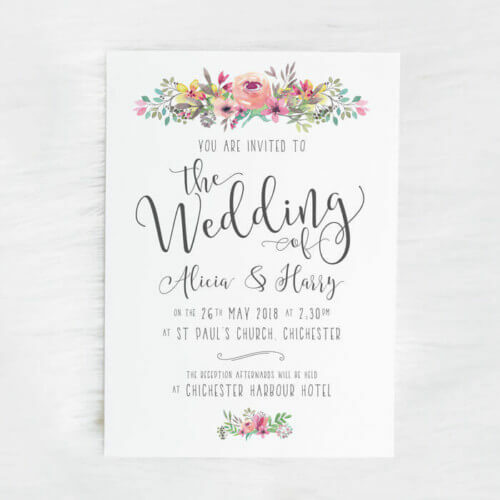 You can design your own using our easy to use personalisation fields and create the perfect style for your floral wedding theme. With this wedding stationery set, you can design your own using our design guide. Change the theme, background colour, fonts or wording, add envelopes, maybe even add an RSVP and food options card. 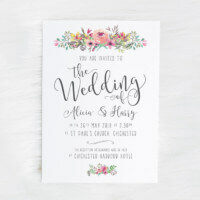 We have a growing collection of styles for you to create the perfect floral wedding stationery to suit your special day. Build your set of floral wedding stationery as and when you need it and once the event, guest list, and important details have been confirmed. Once you have created your perfect wedding invitations using the options provided in this set, we can create matching save the date cards, wedding invitations (both day & evening), RSVP & food option cards, Table plans, place name cards, and table numbers. 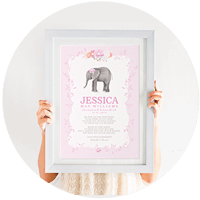 When placing an order for over £50 we will also send you a free wedding guest book alternative print, which can also be purchased separately. Got a theme but can’t see anything that fits your style? Get in touch, we can create something bespoke for your special day.